Venezia Investigative Services provides the legal and business community with litigation support on a wide variety of areas. Our clients benefit from our investigators years of experience in dealing with extended litigation cases. We will consult and examine the facts of your case and use them to develop and conduct a personalized investigation to meet your needs. Civil and criminal matters can be the most costly forms of litigation. Our research helps our clients make informed decisions to assist in bringing the matter to a more expedient conclusion. All parties concerned will be interviewed and or researched by a Venezia Investigative Services investigator. 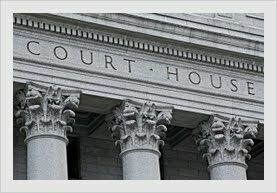 Our office will assist in all levels of litigation as well as locating witnesses, performing Service of Process, providing pre-trial support and furnishing expert witness testimony. Let our investigative team help your legal team for a more positive result.